There’s a difference, especially after about 3 months at sea. Bringing this back on topic, I don’t rememeber there ever being anybody telling us what we could and couldn’t take pictures of around the jets in the hangar bay. Was that a thing, @Hangar200? Civilian Attractive. We seemed to get more than our fair share of that with IS’s and 1830s (formerly 1630). That long? You nukes really need to get out (of the main spaces) more often. No. I’m pretty sure you could take photos of any jet at any time in the hangar bay…on the flight deck, there might be / have been some restrictions regarding weapons. * A jet at PAX River?…probably something they were testing…like one of those Alien gizmos from Area 51…oops, I shouldn’t have written that. That reminds me of the time we had a security inspection and one of the networking guys was absolutely smitten with the gal they sent in to try to breach security. Apparently, “But I got her number!” was a pretty bad excuse on his part. @NineLine I saw some of these fuses/nose sections and the textured coatings in the model viewer on other GBU/Mk-8x’s. Will we be getting the ability to have naval craft with thermally protected weapons and land based ones without? And different fuse types to pick from? 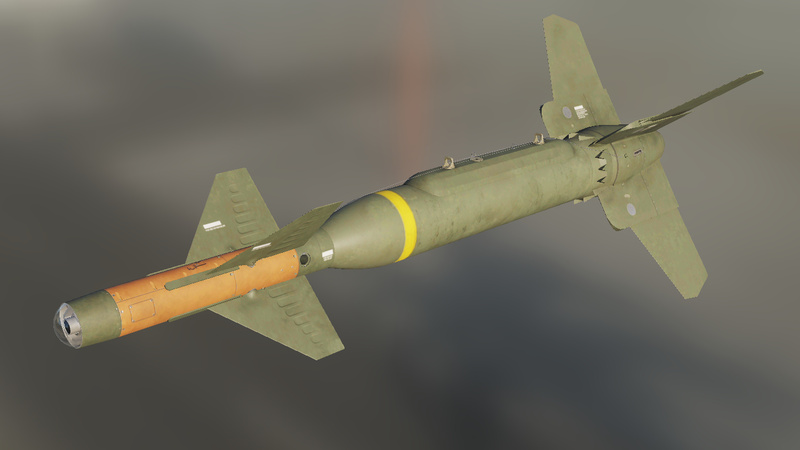 If so, is there a development slot for it, such as “after JDAMs” if it’s part of the Hornet development? Isn’t a honey trap the oldest trick in the book? 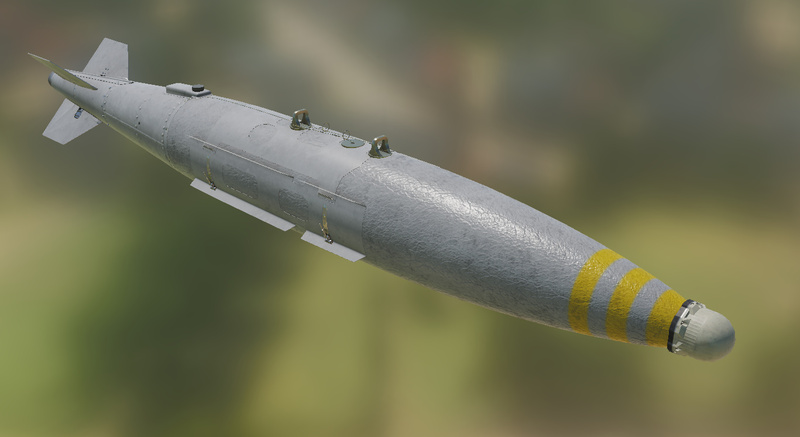 One guy on the Facebook post said “would like to have the ability to write cool messages on the bombs”. Random idea - what if every player could add a “tag” image to their profile (.png / with transparency) that you could overlay on your ordinance? ** Just for fun. **Disclaimer: This feature is meant to be used responsibly. This feature is meant to be used responsibly. Correct me if I’m wrong…the GBU-24 shown appears to be the BLU-109 or BLU-116 variant, commonly known as Bunker Busters - designed to penetrate hard targets like deeply buried bunkers. As I think about current DCS targets, I don’t think I have seen any that are like that, i.e. cannot be taken out by at least a standard MK-84 or GBU derivative. Any thoughts to adding “hard targets”? Actually the oldest trick in the book is building a big wooden horse with a bunch of guys inside…the honey trap is technically the second oldest trick in the book. I don’t think I have seen any that are like that, i.e. cannot be taken out by at least a standard MK-84 or GBU derivative. Any thoughts to adding “hard targets”? 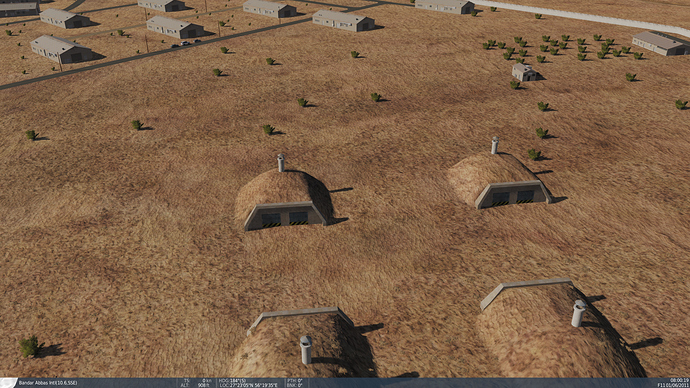 Aircraft Shelters in the Caucus require two BLU-109s to go down, and are highly resistant to GP bomb bodies. There is also a specific bunker on the PG map that will laugh off GP bombs all day and takes something like four BLU-109s to kill. Cool! I need to look for the PG bunker. True. But the military aspect is irrelevant. Such “intamacy” around ANY airplane that’s not yours is totally douchy (and potentially life threatening) behavior. There were some comments in the media, about this, when they announced the participation of Truman in Operation Trident Juncture (2018 NATO Exercise in Norway). Some activists wanted to know if nukes were onboard. I think the Navy has officially declared that all “special weapons” have been removed from carrier magazines. And I mean, the other kind is virtually impossible to make explode.